王海峰, 张懿晖, 杨晓燕, 刘溢洋, 牛艳芬, 刘广. 两种基因分型方法在河北省鼠疫耶尔森菌基因分型中的应用研究[J]. 中国媒介生物学及控制杂志, 2018, 29(6): 564-566, 575. WANG Hai-feng, ZHANG Yi-hui, YANG Xiao-yan, LIU Yi-yang, NIU Yan-fen, LIU Guang. 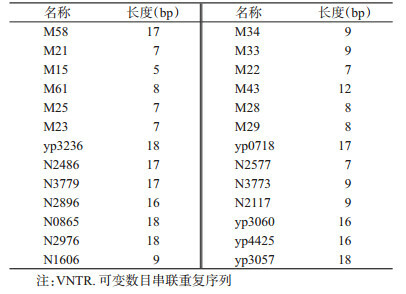 Studies on the genotypes of Yersinia pestis in Hebei province by two genotyping methods[J]. Chin J Vector Biol & Control, 2018, 29(6): 564-566, 575. Abstract: Objective To analyze the genotypes and genetic characteristics of Yersinia pestis isolated from Hebei plague foci. 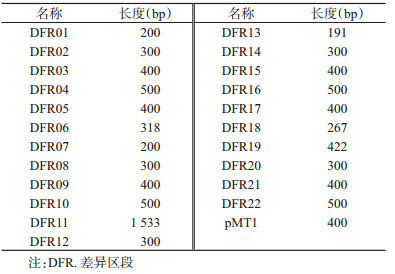 Methods The DNA of Y. pestis collected in Kangbao county from 1972 to 2017 was extracted by boiling method, the multiple locus variable number tandem repeat (MLVA) and the DFR primers according to a publication were synthesized by a biological company, then amplified by polymerase chain reaction, then genotypes were analyzed by agarose gel electrophoresis. 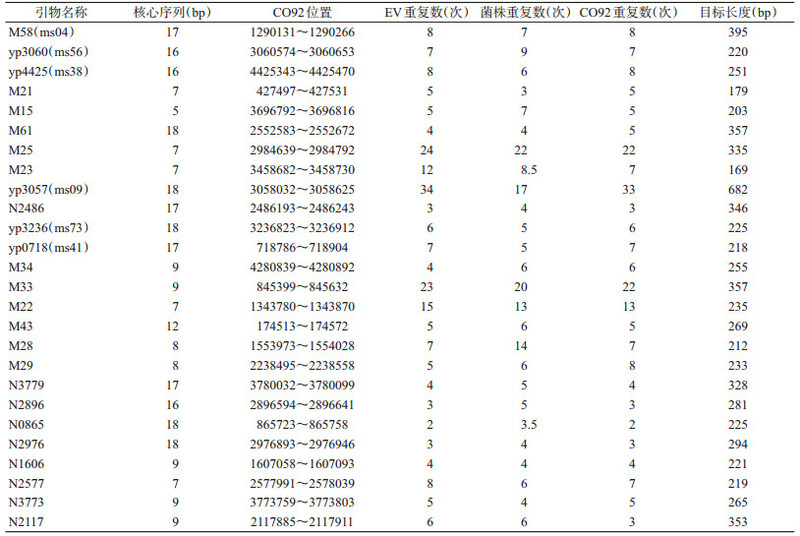 Results All of the strains showed one MLVA genotype, and the main genotypes of Y. pestis from Hebei foci were G17 and G20. The absence of DFRs were 1, 6, 7, 13, 15, 16, 17, 18 in G17, the absence of DFRs were 1, 6, 7, 12, 13, 15, 16, 17, 18 in G20. Conclusion The genetic characteristics of enzootic plague in Hebei province remain stable. Further studies are warranted to confirm whether the epidemics among wildlife in 2017 was caused by spread of neighboring foci or by genetic shifting of the pathogen. 李建云, 武正华, 胡艳红, 等. 2016年内蒙古长爪沙鼠疫源地化德县鼠疫菌的生态及DFR分型[J]. 医学动物防制, 2017, 33(4): 378-380. 崔玉军, 宋亚军, 杨瑞馥. 鼠疫耶尔森氏菌的进化研究:从系统发育学到系统发育基因组学[J]. 中国科学:生命科学, 2013, 43(1): 23-30.